Who remembers this guy? 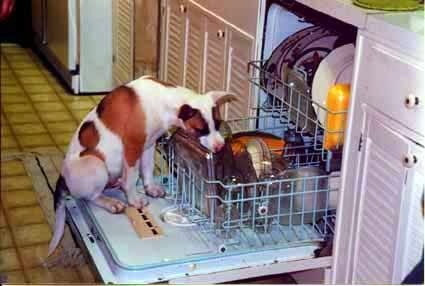 You know, the dishwasher puppy who grew to be a 70 pound lap dog? The doorknob eatingest, car chewingest, blockade destroyingest dog in the world? I do. And I miss him like crazy. That pink nosed monster was easily the neediest, most destructive dog I've ever known, but oh what a lover. And the didn't just like be me the way a dog lives a person who has a piece of bacon in their hand. He loved me with entirety of his giant doggie soul, and I'm pretty sure I'll never be loved that way by any other dog.